As soon you started to learn something new, somebody says “This is already old and obsolete”. It is reality of modern life. Run faster to stay in the same place. Run really fast to achieve anything. I’ve recreated in my lab and it is not booting in this slot. I just keep URL here, because I forgot this today, and this is really good explanation. 1. If you do this after October 2015, you need to add “fake” certificate and special SMU (activate, then deactivate). 2. You need to be patient until upgrade will be finished and don’t be scared about many warnings during this process – some parts of IOS XR can create alarms when everything is right. But you need to check everything AFTER process is finished, of course. 3. If you do upgrade in async mode, remember about useful command “show install request” – you can see what is happening right now. 4. If you install of big tar package and you see 1% of progress during long time, you can check of the progress. Just find new random dir in the dir harddisk:/install/tar/instdir/ and check content of it – you can see your tar and your files from tar during the process of unpack. 5. Don’t forget to upgrade your FPDs. 6. 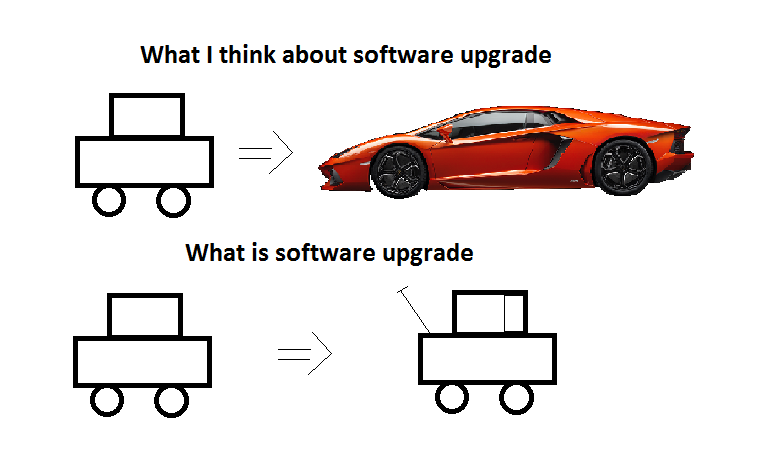 Reboot your RSPs after FPD upgrade. 7. Don’t keep more than one old version of software on the disk. We found SUDDENLY that OPSF with hello-timer=1 on the Huawei NE40E got convergency more then 20 seconds. And any changing of timers is not helped. We have schemes with such timer value, the reason is some old equipment without BFD. And everything worked fine 1-2 month ago. For mitigation OSPF flaping, minimal value for dead-timer was 10 seconds (starting from version V600R003 ) and is 20 seconds (starting from version V600R005), regardless of values OSPF timers on the interface. It is just list of free materials for my preparation to Cisco SPCORE exam. I have hard copy of old Cisco MPLS and QoS courses, other links just were googled. This list will help somebody don’t waste time for googling. It is just list of free materials for my preparation to Cisco SPEDGE exam. I have hard copy of old Cisco MPLS course, other links just were googled. This list will help somebody don’t waste time for googling. The list of topics is here. There is just fresh presentation about NBASE-T and new Cisco Catalysts models for it. Interesting technology for every company, that has the huge infrastructure with cat5e cables. Waiting for other vendors and for NICs and Wireless AP. I have read and analyzed materials from Milan Cisco Live 2015 – for self-education. Not all 455 presentations and videos, of course. Only Level=”Advanced” and Technology=”Routing”. Maybe someone will be interested to know my comments and recommendations below. Cisco Live Milan 2015 is over. All presentations are here, as usual. I have plan to create overviews about most interesting presentations. Maybe next week.